Even though I was right in front of her, she simply never saw me. We practically touched noses, and still she never said my name or acknowledged that I was even in the same room with her. This was what it was like to watch American television in the early 80s and in English. 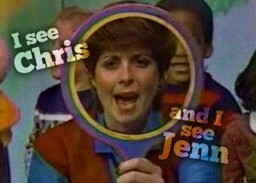 The show was Romper Room and the host Miss Genie spoke in a language I was still learning. It’s not super important that you know the show or remember it, as far as I am concerned. But the thing you may care to know is that at the end of each episode, she would pull out a “magic mirror,” that really looked like a magnifying glass, and she would get close and look out into the tv audience (or in to my living room) and shout out names of people she saw. Everyday I sat closer, legs crossed and hands folded. I smiled. I didn’t smile. I sat a few inches away. I wore different clothes. And while she said names like Jenn, Michelle, Chris, Michael, Bobby, Lou Ann, Stuart, and Melissa, she never said my name, “Felicia.” Come to think of it, not only did she not seem to see me through that mirror, but I never saw anyone like myself standing next to her. Girls with short hair who dressed like boys did not exist on Romper Room. I was simply not part of this story. This marked the beginning of my learning to expect that, no matter how magical I thought or was told it was, TV was never going to be a mirror of me or my life. I was slowly learning that either I, or the people in the TV, would have to change. At least this is what English speaking TV told me. But then, there was always channel 34 or channel 52. These were the homes of another world entirely. 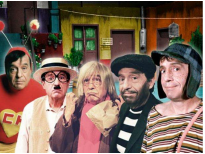 Spanish speaking television in the 80s was filled with Chespirito, which was the pseudonym for both a brilliant man named Roberto Gomez Bolanos and his SNL-like children show. No one ever said your name to acknowledge your existence, but they did regularly look out to the audience to make sure you knew you were there. 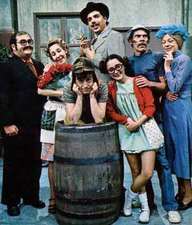 Viewers of Chespirito had to accept that all the same actors would play different characters in the various running skits. Disbelief was part of the joy of these stories. As a viewer, you had to go along with the fact that fully grown adults were pretending to be be children and that superheroes didn’t need any super powers as long as they were always in the right time and right place to be helpful. As you can imagine this show and these characters were home to me. For a little girl growing up like a boy, speaking both Spanish and English, and in and out of the hospital for chronic medical conditions, nothing and I mean nothing was more comforting than knowing that somewhere it was okay not to be normal or to fit just perfectly. The idea that you could be whoever you say you are meant the world to me. It was the magic that I needed to stay alive, in front of that tube, searching for other signs of hope and reflection. Being acknowledged as existing matters. Growing into my teen years things got both better and worse on television. Sure there was The Cosby Show, A Different World, Family Matters, 227, Living Single but there was also Three’s Company and Ellen. While I saw strong black women in families and that mattered, the fact is that I am not black so it still felt like not enough. And whenever there were gay TV characters they existed only as an act to be made fun of or the show was altogether cancelled after the lesbian character “came out.” The new message was be strong and be black (which I couldn’t be) and be “in the closet” or not gay at all if you want to keep existing. Needless to say I stopped watching television in the 1990s when rich white kids in Beverly Hills ruled the tube along with their twenty-something Melrose apartment living counterparts. I had gotten used to not seeing me or being seen. In recent years I have altered my television watching to be less centered in looking for myself and more around general issues of discrimination, whether on the basis of race, class, gender or sexual orientation. I gave up on seeing an exact model of me and leaned towards at least seeing something about how I feel reflected. This means that now in my late 30s I find myself watching shows about family dynamics as siblings get older. I watch shows about women struggling in relationships, with careers, with home, with criminalization, and even with cancer. I find myself watching dramas like The Fosters, Parenthood, Empire, American Crime, and Scandal. And I get to laugh and cry at shows like Cristela, Fresh Off The Boat, Black-ish, Modern Family, Mom. None of these shows are a perfect match, and I watch a far more diverse set of shows on cable television. But these shows definitely reflect a growing movement by mainstream television to change the story and reflect a range of families and family issues. Today my biggest criticism is that I wish that the stories filling our news were also included in TV shows in a critical way showing just how we can be heroes and changers of the story. 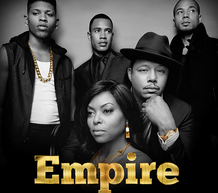 While there may be people of color characters on TV, they are mostly business owners or upper middle class. While they may be stories of families living with 3 generations under one roof, they never seem to talk about caring for parents or healthcare costs of those who are sick. They may have story lines where they talk about racial identity but not about racism. They may talk about work but not about labor issues of inequality in the work place. In fact, the more I watch the more I realize that perhaps the only part of the story that they are changing is that a diversity of characters are now in it, while leaving the diversity of their real life struggles behind, and I am not sure it’s enough. So again I am left haunted by the question, "Does It Matter?" I think it does, and so does the Center for Story-based Strategy. CSS focuses on how the media & press discuss social justice issues and campaigns. 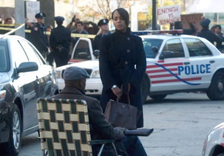 But now we are moving broader to consider how popular culture shapes how issues and the people affected by them are seen or portrayed in scripted television. This is where Stop The Presses Season 2. (0) comes in. Stop the Presses! is a semi-monthly live webcast produced by the Center for Story-based Strategy. 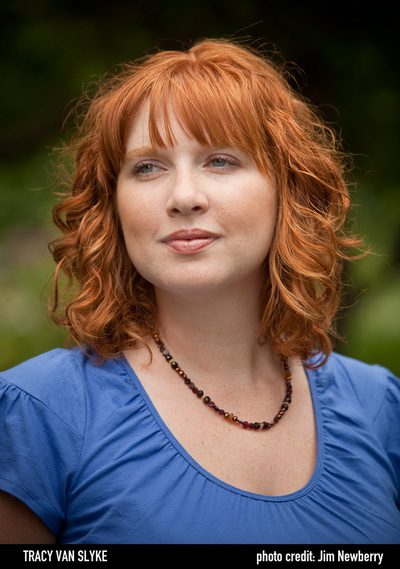 Season 1 of the webcast was hosted by Joseph Phelan, and our upcoming Season 2. (0) will be hosted by yours truly.This season's program pulls together a small group of key women organizers, leaders, and popular culture experts to look at current TV shows and explore whether the stories being told are advancing a social justice narrative in the United States. The same amazing women will host each of four episodes. We will be hearing and learning from Angela Peoples (GetEQual Co-Director), Pakou Her (18MR Campaign Director), and Tracy Van Slyke (The Culture Lab, Director). We will invite the public to work with us as we engage in a Narrative Power Analysis of what current stories on TV say about race, class, gender, sexual orientation, climate justice, labor organizing, and the fights for social justice happening every day. Our first episode will air on May 26th (1pmPST/4pmEST). We will be talking about where we see ourselves on TV these days and we want the CSS community to join us in the conversation. So where do you see yourself in mainstream television? Name the show and use the hashtag #ISeeMeHere & #StopThePresses on Twitter or Facebook. Or just get your show name ready and click HERE to Tweet about it. Get ready for what we hope will be an intriguing round table discussion about the power of storytelling! Listen to all 4 episodes of Season 2 right now! A little Mischief, a lot of Intelligence!